This Sunday, I'm leaving for London and I could not be more excited! Flying to a foreign country, though, means spending a lot of time in a plane and waiting for those planes. I fly out from Columbus at 1pm and after changing flights and going through layovers, I don't arrive in London until 6:30 the next morning. Since I have a ton of downtime, I made sure to have some books planned to read while waiting to arrive in the wonderful city of London. So I chose The Hobbit, Faking It, and A Kiss at Midnight to keep me company on my travels. I'm really excited to get into these books because they're all three from very different genres and I've been dying to read them. 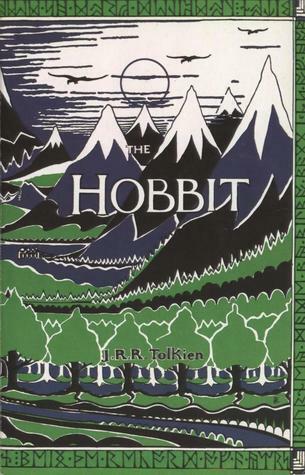 I saw the movie The Hobbit and thought it was so good, so I can't wait to read the book. I absolutely loved Losing It by Cora Carmack, so when I got an egalley of the second book, I was ecstatic (I'm bringing my nook, which makes traveling a lot lighter without having to pack a million books!). And isn't the cover of the book gorgeous? Last, but certainly not least, is A Kiss at Midnight by Eloisa James. I've read two of her books and loved them, so I'm really excited to read her historical romance based on the fairytale of Cinderella. Hopefully these books make the flights go by quickly so that I'm in London before I know it! Do you guys have any books you like to read while taking trips? Have a great time! Going to London is my dream location. Traveling with a nook definitely makes life easier and your luggage lighter. I love the Hobbit and the other books look fun. I hope you have a fantastic trip! Have a blast in London! It's one of my most favorite places ever!